"Only 27 people live in this village but the number of scarecrows is tenfold, like 270." 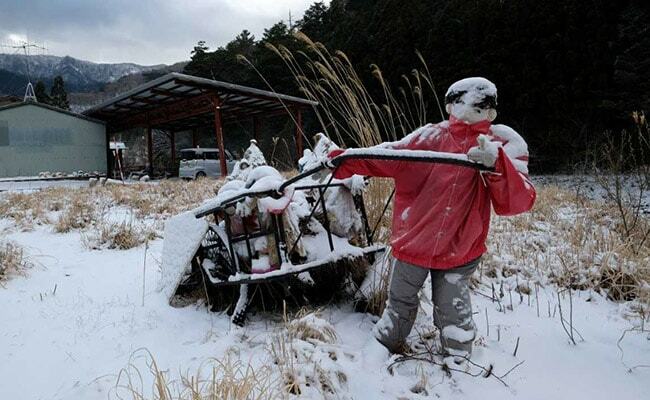 A life-size doll depicting a scarecrow in the village of Nagoro in Japan. "People gradually left... It's lonely now," she said. "I made more dolls as I remembered the time when the village was lively.